« Help Us Celebrate Earth Day! The landscape of retail is constantly changing thanks to e-commerce and the rise of online retailers, with more than 22.4 million consumers every year making purchases online. If your warehouse focuses on retail work, meeting this rising demand requires you to place a high priority on efficiency and management in all aspects of operations. With an increasing number of customers requiring on-demand shipping (in the same day, in many cases), your warehouse needs to have the operating capacity and process flexibility needed to keep up with these increases in product demand. Focus on order fulfillment. While order fulfillment can be crucial for any business, the speed and accuracy with which orders are fulfilled can play a significant role in developing your brand’s reputation as an ecommerce outlet. Develop a fulfillment strategy for same-day delivery orders that that can be carried out by specific staff members (or a dedicated same-day crew if you have the resources) and streamline your typical picking and fulfillment methods to save time and focus on getting the products out as fast as possible. Place a higher priority on inventory counts. 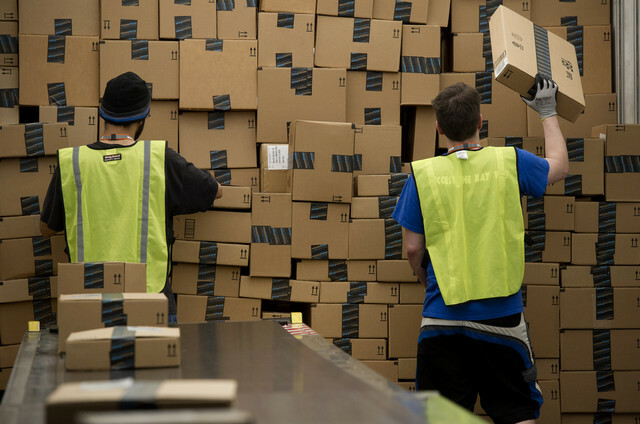 One of the biggest hurdles in same-day shipping is the issue of maintaining inventory levels and making sure these levels are presented accurately. Few things can lose customers and prevent brand loyalty like a same-day order being cancelled due to misrepresented inventory levels. If your warehouse implements on-demand shipping, make sure to place a high priority on inventory counts and management to make sure your ecommerce outlet reflects these levels accurately. Streamline your storage. Whatever kind of warehouse storage you use to store products, the speed demands of on-demand ecommerce means that you need to streamline your storage and keep your products as accessible as possible. Make sure to keep things like pallet racks and shelves as organized and clearly-marked as possible to make sure workers can find the items they need right when they need to be found, and set up a dedicated section of wire shelving for packing and fulfillment for on-demand orders to keep them separate from the other, lower-priority orders. Manage tracking and shipping better. Last-mile tracking and shipping is more important than ever when it comes to on-demand shopping and order fulfillment. Work carefully with your shipping and logistics providers to find a quick shipping solution that offers reliable tracking (for both you and the customer) and make sure your last-mile fulfilment is reliable – all the process optimization in the world isn’t going to help if your shipping partner can’t get the products to your customers on time. With these tips your warehouse should be ready for any on-demand shopping issues that may arise, whether it’s from your customers, your suppliers, or within your own warehouse.